Went for Team Building Camp on 12th and back on 13th. 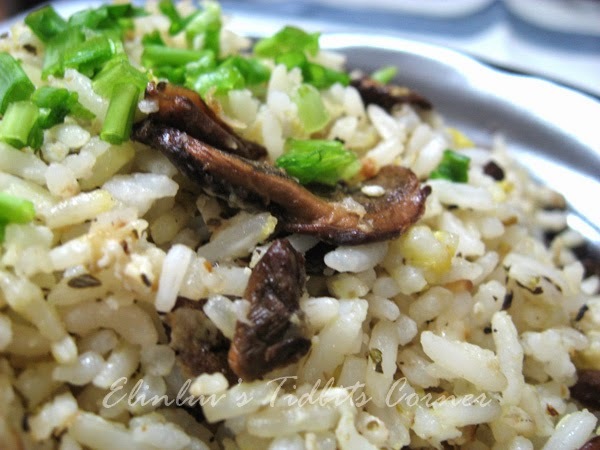 Came back tired ...cook simple fried rice with Porcini mushrooms....yummy...love the chewy texture and strong nutty woodsy sweet and meaty taste. A few shakes of black pepper and mixed herbs and a pinch of sea salt was all it took to rejuvenate me after a tiring team building programme :) Thanks WB for helping to get the mushroom and cooked rice ready for me. Just a sms to WB from the camp with intructions to the T and that is how I managed to get the fried rice ready. This is what I called TEAMWORK ! LOL! 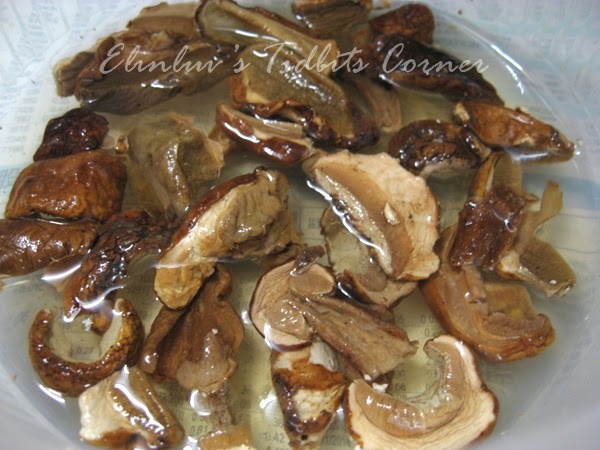 Heat wok till hot, add in olive oil, chopped garlic and saute till fragrant, add in sliced porcini and stir fry for a 2-3 mins . Add in the cooked rice and continue to stir fry for a min, add in mixed herbs, black pepper and stir fry till well mixed. Push rice aside, add in beaten egg and leave till it lightly set at the bottom, push back rice and stir fry till the rice is coated with egg mixture. Add sea salt to taste. Off heat and the rice is ready to be served with spring onions as garnishing. 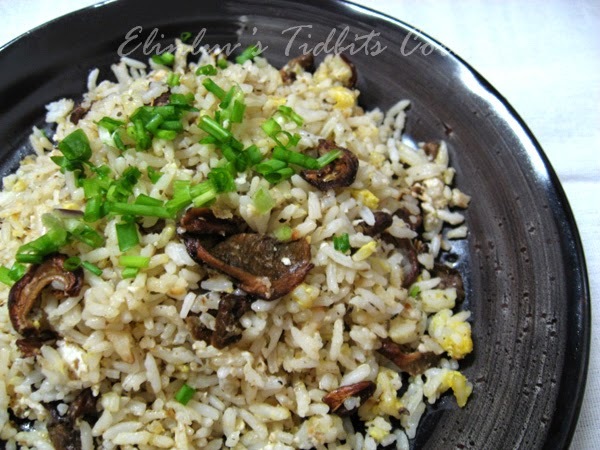 A simple and very tasty stirfried rice, Elin.